Costa Maya is a small town in Mexico and is surrounded by beaches. 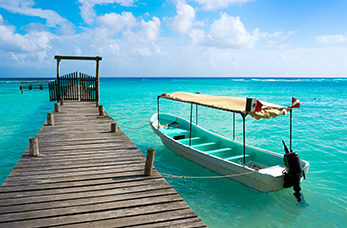 Costa Maya is a very popular tourist destination due to its tropical weather and scenery. Learn about the ancient traditions and culture whilst discovering the breath taking views of the Caribbean Sea. Most of the people who live in Costa Maya spend more time is the clear blue waters than hiking through the town as there is so many activities to take part in like diving and snorkelling past coral reefs and a variety of tropical fish. Fuerte San Felipe Bacalar is a Spanish fortress that was built to protect residents from people such as pirates. The fort now has a small museum inside which gives an overview of the fort and its town's history.